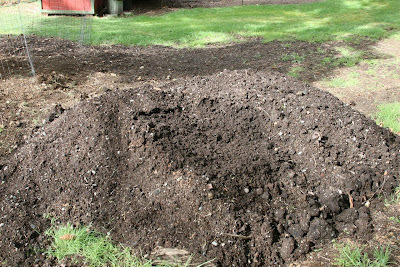 I am very fortunate to have a friend that has yards and yards of horse manure that has aged five to six years and turned into this awesome compost. It has a beautiful rich dark brown color, is full of worms and completely void of all manure smell. Can't wait to put it in the gardens.